The Blaze is a patent block heel miracle with an attractive Gold 'T' bar design down the main front strap. The Gold heel insert matches the front bar and the buckle on the supportive ankle strap. 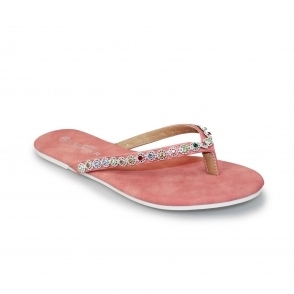 The smaller block heel and padded insole offer comfort on each step and certainly on a night out with your partner or the ladies when you find this sandal will be suitable..